Robo-advisors are becoming increasingly popular these days, giving everyday people a more cost-effective way to invest at all levels. Rather than pouring over investment books and blogs, you can choose a robo-advisor that fits with your general risk philosophy, then pay a small percentage of whatever funds you’re able to invest. You presumably get the returns without having to worry about daily maintenance of your investments. FutureAdvisor is a relatively new standout in the industry, offering personalized investment advice to help you reach your financial goals. And while touted as a robo-advisor, FutureAdvisor actually has a real-life team of human investors helping to manage client portfolios. Their investment strategy focuses on the long-term and is based on academic research and historical performance. This is also a great choice for those who are wary of fintech startups because all FutureAdvisor accounts are actually held through either TD Ameritrade or Fidelity. You get the security of major financial institutions with the technology of a data-driven startup. You can also take advantage of certain free services with FutureAdvisor. Keep reading to find out more about how you can invest with FutureAdvisor. To get started with FutureAdvisor, you’ll need at least $10,000 to invest. Right off the bat that can be limiting to some, but they do collectively manage over $900 million at this point. Once you’re ready to start, you can get a free portfolio analysis. You can link all of your accounts to FutureAdvisor, which then reviews all of your information. Additionally, you’ll add in your financial goals along with your target timeframe. From there, you’ll receive customized recommendations based on what you have and where you want to go. It’s a comprehensive way to figure out how to stay on track throughout your financial journey, especially since it’s looking at all of your actual information. Once you’ve taken advantage of this free service, you can then choose to sign up to have FutureAdvisor manage your funds through a Premium account. Investments they support include IRAs (traditional, Roth, and SEP) as well as individual and joint taxable accounts. There are only two basic requirements: you must start with at least $10,000 and you have to be between 18 and 68 years old. This is another place where things differ from your typical robo-advisor. You keep your money with a major brokerage, choosing between either TD Ameritrade or Fidelity. 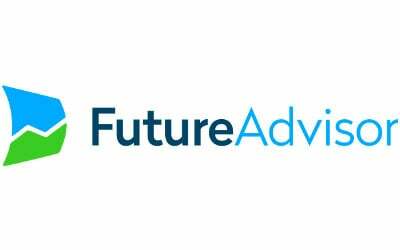 FutureAdvisor then manages your funds a fiduciary. Want to track your retirement savings? You’ll also receive your “best path” to retirement, along with suggested steps and best practices you can take to optimize your investments. There are three parts to FutureAdvisor’s fee structure. The first is an annual management fee of 0.5%, which is charged in increments on a quarterly basis. It’s charged on the number of assets that FutureAdvisor actually manages. The next fee is the expense ratio for any funds you’re invested in, like ETFs. ETF expense ratios average around 0.15%. Finally, you’ll be charged a commission anytime a trade is made. It may seem like a lot, but FutureAdvisor manages your investments based on the size of your portfolio. Additionally, they use a number of fee-free funds to save you money. In total, most accounts average an annual fee of 0.65% on the assets you have managed by FutureAdvisor. When you’re getting started, you won’t be charged anything if your accounts are already held by Fidelity or TD Ameritrade. It’s also free to transfer accounts from Vanguard. However, most other brokerages and mutual fund companies will charge a transfer fee, ranging between $50 and $100 per account. It’s also worth noting that FutureAdvisor doesn’t charge any fees to cancel your account with them. Since your money is held in either a Fidelity or TD Ameritrade account, they simply take themselves off as the account manager and you have control to do whatever you want with the funds. Fees may apply if you want to close your account with either Fidelity or TD Ameritrade. Whether you just want some free retirement advice or a Premium account to grow your investments, FutureAdvisor has plenty to offer investors of all types. Even if you don’t meet the $10,000 minimum balance, there are services you can take advantage of. And if you do decide to have FutureAdvisor manage your accounts, you’ll be happy to know about some of their best features. We already talked about the free portfolio analysis you can receive from FutureAdvisor, which is a great perk in itself. However, even if you don’t want to sign up for an account and upload your investment information, there are still tons of amazing resources you can take advantage of. Are you totally new to retirement planning and investing? Navigate over to FutureAdvisor’s Investing Library and you’ll find countless guides and articles. If you’re not sure where to begin, pick an overview topic like “How to Start Investing.” There are also guides on how to invest different amounts, like $10,000 or even $500,000 — so no matter what you have, you get holistic advice about how to effectively manage your savings. There are also really specific topics, so if you’re looking for a particular how-to guide about something investment-related, you’re likely to find it here. For example, you can read step by step on how to open an IRA or dive deeper into the best ways to diversify your portfolio. FutureAdvisor also has a section of its website devoted to reaching your goals. In addition to direct investment advice, they also talk about things like the cost of housing and healthcare — both of which are extremely relevant in retirement planning. Interested in how FutureAdvisor determines its investment strategy? Check out “Inside the Algorithm,” which is loaded with super-specific articles on their rebalancing strategy, tax-efficiency tactics, stock and bond splits, and more. Again, you don’t even have to create a free account to take advantage of this resource library. It’s completely available to anyone, and it’s smart to look at before you choose FutureAdvisor for your investments. And the blog is updated regularly so you always know about the company’s latest updates. FutureAdvisor utilizes a few different strategies to minimize your tax liability. Like most robo-advisors, they’ve integrated automatic tax-loss harvesting to all accounts. It’s particularly helpful, however, if you’re in a higher tax bracket. So what exactly is tax-loss harvesting? The process can be quite technical, but basically, tax-loss harvesting involves selling a security that’s had a loss. It’s then replaced with a similar position so that your portfolio is right where it should be. But since you sold the original security at a loss, that amount is used to offset your taxes on both your income and capital gains. Of course, there are all kinds of rules regulating tax-loss harvesting, which is why it’s helpful to have an automated expert like FutureAdvisor monitoring and executing the process for you. FutureAdvisor also engages in other tax-efficient strategies. When charging your annual fee, they take this money out of your taxable accounts like a traditional IRA, rather than out of a tax-advantaged account, like a rollover IRA. Over time, that can save you money on the amount of taxable income you have. The company adheres to its own Capital Gains and Tax Policy to help clients save as much as possible on their tax burden. In fact, when you sign up to have FutureAdvisor manage your investments through a Premium account, you can actually see what your projected tax impact will be before they rebalance your portfolio. Plus, they continually review your short-term and long-term holdings to best balance your portfolio on a regular basis. Just as they do with all their decisions, FutureAdvisor consistently rebalances your portfolio based on your specific situation. You can expect your portfolio to be rebalanced between four and six times each year. This is the average amount it takes to maintain your target allocation to make sure your investments are staying on track. Unlike most other robo-advisors, FutureAdvisor doesn’t actually hold your money. Instead, they’ve carved out an agreement with both TD Ameritrade and Fidelity. So FutureAdvisor serves as custodian of your accounts, but the money is still held by one of two national brokerages. The great thing about this is that both options are SIPC insured. While that doesn’t protect your investments against market losses, it does offer certain protections if the brokerage closes for some reason. Working within these two brokerages also means that FutureAdvisor can help you save money by using fee-free or low-cost ETFs. TD Ameritrade, for example, has over 100 free ETFs. Fidelity is just shy of that with 91 fee-free ETFs to choose from. Since you pay both an annual management fee and trade commissions with FutureAdvisor, this can really help you save money while optimizing your portfolio. The partnership between FutureAdvisor and these two brokerages also gives you flexibility. If you change your mind and don’t want to pay for the Premium service anymore, you simply remove FutureAdvisor as the account custodian. Then you still have your money invested in TD Ameritrade or Fidelity and you don’t have to worry about paying any transfer fees or closing fees. Is FutureAdvisor right for you? People who currently have investment accounts with Fidelity or TD Ameritrade are automatic candidates for FutureAdvisor, especially if you’ve been considering using a robo-advisor. If your funds are already housed within one of these two brokerages, it’s extremely simple to get started. And if you decide you don’t like how your funds are managed, you simply remove FutureAdvisor as your custodian and move on — without paying any fees. Really, anyone can test drive FutureAdvisor by signing up for the free analysis and recommendations. You’ll even get reminders about how and when to rebalance your portfolio, you’ll just have to manually do it yourself. Once you get comfortable with how your investments look, you may decide to sign up for the Premium account so you can invest on autopilot. Even with these perks, FutureAdvisor’s fees are a bit higher compared to those of other robo-advisors. If cost is your bottom line, you may want to explore other options. But the upside is that your funds are actually kept with extremely reputable brokerages, making FutureAdvisor an interesting hybrid between traditional firms and fintechs. Ultimately, your investments should be based on your personal values and strategies. If these align with FutureAdvisor, it’s definitely worth giving them a try, especially if you start with a free account.